Welcome to a place where stunning landscapes and culture blend with the best that modern life has to offer. Welcome to the Outer Hebrides. This is a lively and challenging place. It's a place where community matters. A place where you can raise a family in security and confidence. This outstanding natural environment is home to around 26,200 people and includes the islands of Lewis, Harris, North and South Uist, Benbecula and Barra. The main town, Stornoway on Lewis, is home to around 10,000 people. The sheer diversity of the landscape is remarkable. Endless machairs and dunes. Mountains and stunning beaches. Vast expanses of moor and lochs. Vertical sea cliffs and stacks... Little wonder that visitors to our islands are enchanted by what they find here. All the islands are different and have their own unique appeal. It's a place for living, working and playing. 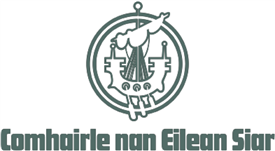 Get the latest jobs from Comhairle nan Eilean Siar sent direct to your inbox!